Though not as potentially lethal as territorial disputes, lines had been drawn in the sand for something no less valuable; the prestige and bragging rights to who first cultivated the tea bush. This account follows how China and India settle the title, “The World’s Tea Originator” after more than 160 years of competing claims. Although the feud was between two Eastern nations, the seed of discord was actually planted by the West, namely England. In the 18th century, Robert Fortune, a representative from the then multi-national trading powerhouse East India Company, transported tea plants and seedlings from China to India, planting them in Darjeeling. This was the beginning of a strategy to cultivate an alternate tea source in India and sell it to the West. Moreover, a chance discovery of a wild ‘transitional type’ tea tree in Assam bolstered the British’s marketing efforts to promote India as tea’s original source. Imagine ‘transitional type’ tea plant as the smoking gun. It’s the biological intermediary between a wild tea plant and cultivated tea plant. It has the reproductive system (flowers and fruits) of the wild type and vegetative system (leaves and branches) of the cultivated type. With the discovery of the all important, ‘transitional type’ plant, it implies that someone ancient had the discerning taste and good mind to start cultivating the wild type and used the leaves to brew tea. Without this ‘transitional type’ countries with the tea plant, no matter how old the cultivar, can only claim that their tea plant is ‘imported’. Thus, the Chinese tea experts began their investigation around Lacang River in Yunnan province as it has the oldest cultivated tea cultivars in the world. All other Chinese cultivars originate from Yunnan as the tea plant spreads to central and then coastal China. In Mount Jingmal, the native Bulang tribe lead them to orchards of cultivated tea trees over a thousand years old. Impressive, but not impressive enough: not the transitional type, unfortunately. 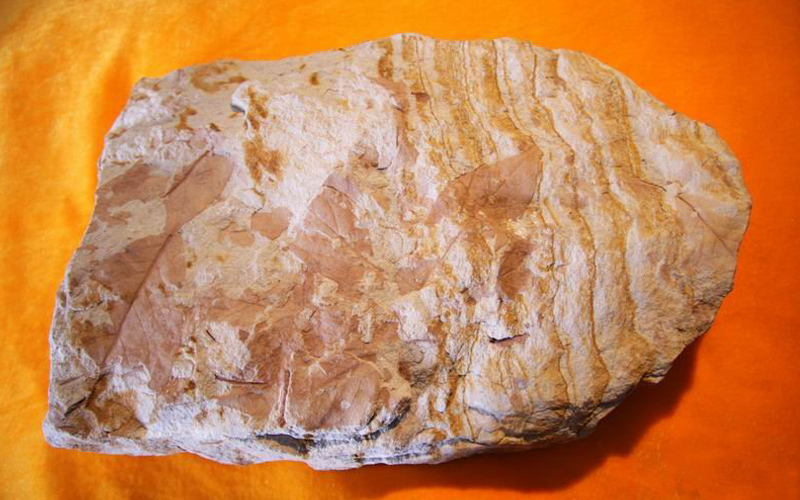 In 1978, in one of many unassuming villages in Jinggu County called Mangxian Village, experts from Beijing Institute of Botany and Nanjing Ancient Geological & Biological Institute unearthed some broad leaf fossils that were dated to 35.4 million years. Carbon-14 dating in 2005 on the some of the same fossils confirmed that the specie is related to large leaf tea. It was the oldest tea leaf ever discovered. But still not good enough. The Jinggu broad leaf is just tea at its primitive stage and is undrinkable. Just when their search was leading them to nowhere, the experts visited another ubiquitous village called Bangwai Village in Lancang County. Unlike many villages in the area, it’s not surrounded by vast stretches of tea plantation – with just a scattering of tea plants around houses and gardens. It’s here in a supposedly most unlikely village within tea country that they stumbled upon an ancient tea tree. According to one of the experts, he began to feel excited and feel a buzz, and it wasn’t from drinking tea. A close inspection of the fruit revealed a hole like a spot where the placenta connects the baby to the mother. These were different from the wild type and cultivated type. This evidence was too good, and more than enough. Botanists and other experts were promptly dispatched to study the newly discovered tree over many days, and it was confirmed to be the elusive ‘transitional type’. The final test to settle ‘my tree is older than yours’ was DNA testing. The Chinese ‘transitional type’ has symmetrical chromosomes as compared to asymmetrical chromosomes from the Indian ‘transitional type’. In scientific speak, it proves beyond reasonable doubt that the Chinese tree is older than the Indian tree. Thus, the Chinese started to cultivate tea tree earlier than the Indians. Fast forward to 2013. The chairman of the International Tea Committee, Dr Norman Kelly, officially confers the title, ‘The World’s Tea Originator’ on China. China and India may not live happily ever after, but both can turn to their own tea with pride. Though different in fragrance and taste, a Darjeeling or Assam is as good as a Longjing, Tie Kuan Ying and many others.